People can still recall big occasions – when the sirens wailed, when they got their first computer game and when the whole street came out to celebrate. They remember their friends, the games they played and the tingling excitement of Christmas. In 1887, the Reverend Tiverton Preedy started something big. The football club he founded went on to win the 1912 FA Cup and the loyalty of generations of fans. So what’s it like to wear the red shirt or shout yourself hoarse from the Oakwell stands? Before Experience Barnsley, neither the town nor the borough had a place to record their history. 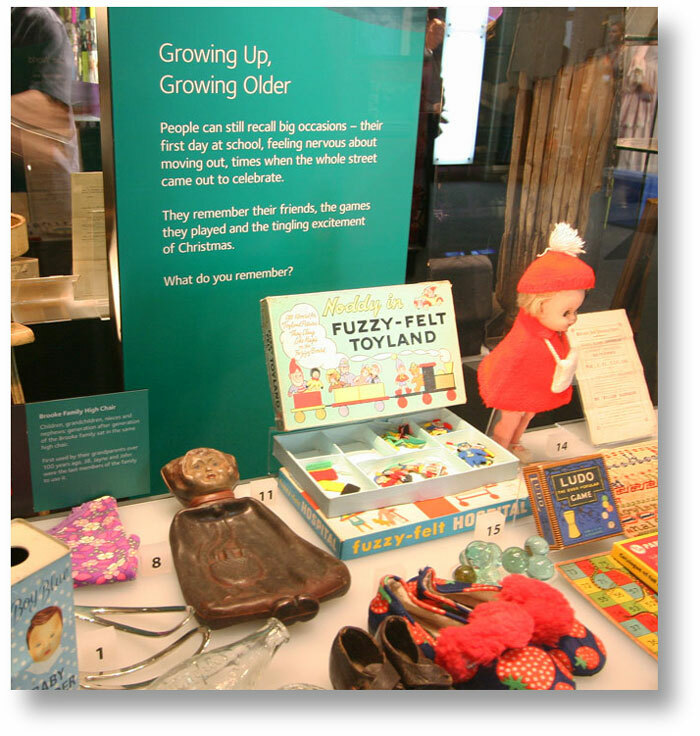 Since most of the artefacts were donated by the public, Experience Barnsley is rooted in its local community. Our job was to bring the history and the community to life on the exhibition panels. 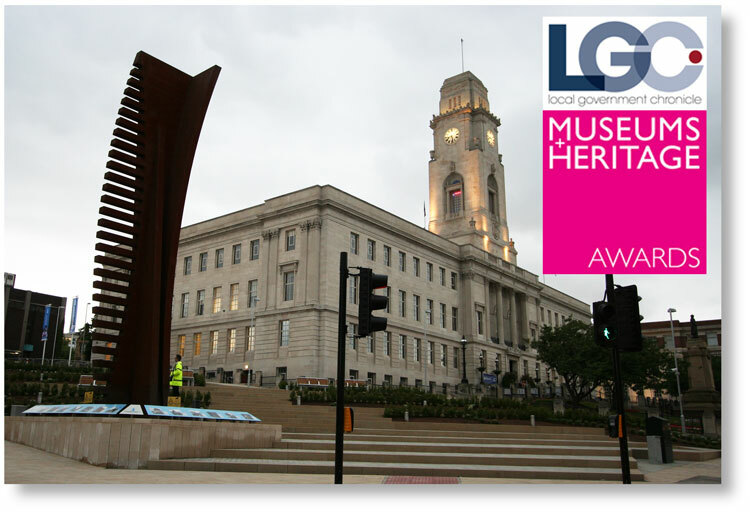 Experience Barnsley was shortlisted for the Museums + Heritage Awards 2014 and won the Community Involvement category in the Local Government Chronicle Awards 2014. 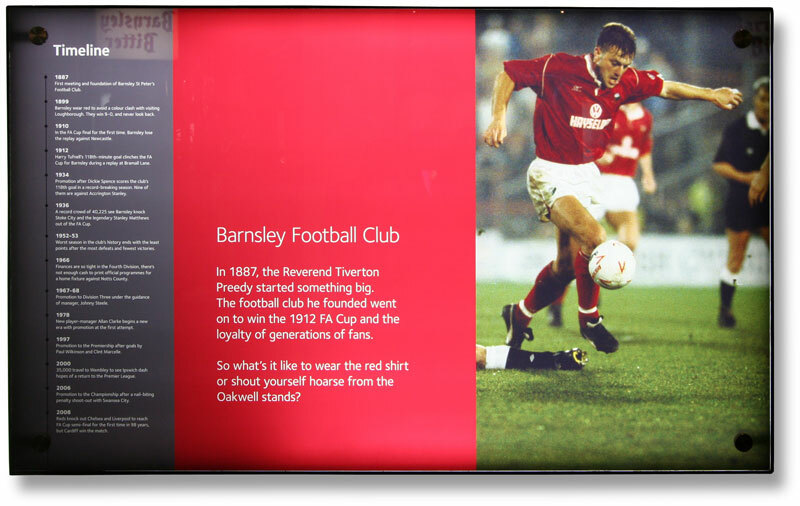 Find out more at the Experience Barnsley website.